Fiber rush is easier to use and outlasts natural rush. Our fiber rush is made from the highest quality paper and is a continuous strand to make your weaving projects easier. Perfect for chair seats, footstools, bar stools and more. Brown color matches many antique seats for restoration projects. 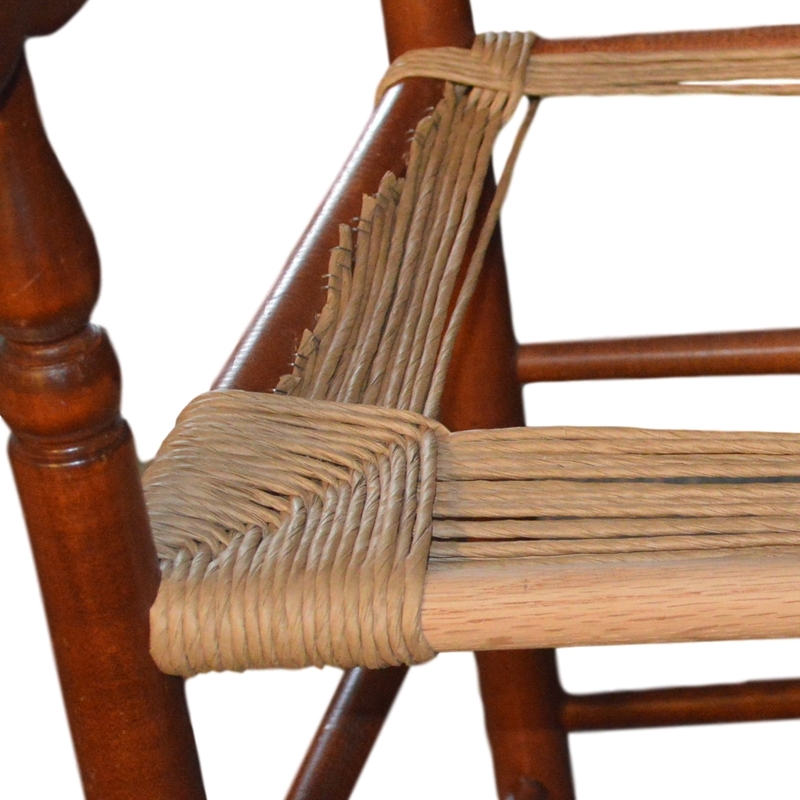 It is suitable for replacing any type of round woven material on chairs that have rung or dowel construction like the chair shown. Quantity: 2 pound coils which will do an average 12'x14" chair seat. The 5/32" coil has approx. 400'. The 6/32" coil has approx. 320'. Available Sizes: We stock 5/32" and 6/32". We can also get 3/32", 4/32" & 7/32". Please call if you need these sizes. Color: Kraft Brown *The 5/32" & 6/32" are also available in Golden Brown upon request. Please call.